The 1933 Long Beach earthquake took place on March 10 at 5:54 P.M. PST south of downtown Los Angeles. 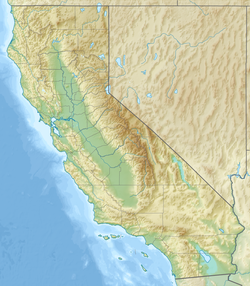 The epicenter was offshore, southeast of Long Beach, California, on the Newport–Inglewood Fault. The earthquake had a magnitude estimated at 6.4 Mw, and a maximum Mercalli intensity of VIII (Severe). Damage to buildings was widespread throughout Southern California. An estimated forty million dollars' worth of property damage resulted, and 115 to 120 fatalities. The majority of the fatalities resulted from people running out of buildings exposing themselves to the falling debris. This article incorporates public domain material from the United States Geological Survey document: "Earthquake History of California". Archived from the original on 2000-08-17. Retrieved 2018-05-02.